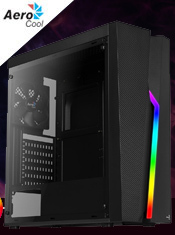 V3X RGB is a mid-tower case. The unique RGB LED stripes on the front panel display over 13 lighting modes. Select from one of six unique RGB flows or choose from seven solid colours. In addition to the unique exterior, V3X RGB supports CPU cooler up to 150mm and high-end graphics cards up to 350mm. 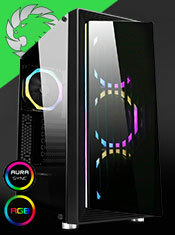 V3X RGB supports up to three 3.5� HDDs and one 2.5� HDD/SSD.